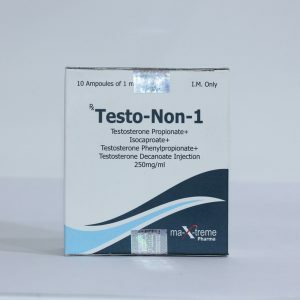 According to experienced athletes, this drug causes less water retention than the decanoate, and for this reason it is perfectly compatible with testosterone enanthate and cypionate. 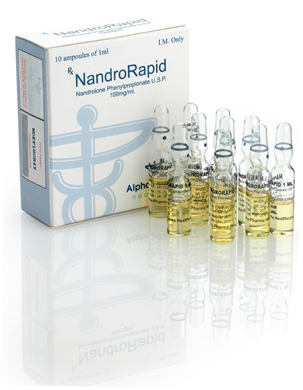 The short period of action of Nandrorapid (about 2 times shorter than that of decanoate) can be regarded as both an advantage and a disadvantage. Advantage: if side effects or poor tolerance occur, the course can be stopped and all undesirable reactions will disappear quickly. Disadvantage: the need for frequent injections. The drug improves collagen synthesis (strengthens the ligament apparatus) and strengthens bone tissue. Therefore, it can be especially useful for athletes who have injuries or problems with joints or ligaments. 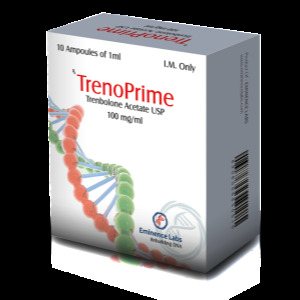 In addition, this anabolic steroid has a beneficial effect on immune function, has a moderate anti-inflammatory effect, thereby beneficially affecting the affected joints. Many believe that the effect of the drug is very different from the decanoate, but in fact it is not. The active agent is the same – nandrolone, the difference lies only in the speed of its release. As noted above, nandrolone phenylpropionate has a rather short half-life, and this means that it is necessary to administer the drug at least twice a week, and even more often – every third day. The average dosage is 50-100 mg in a single injection.